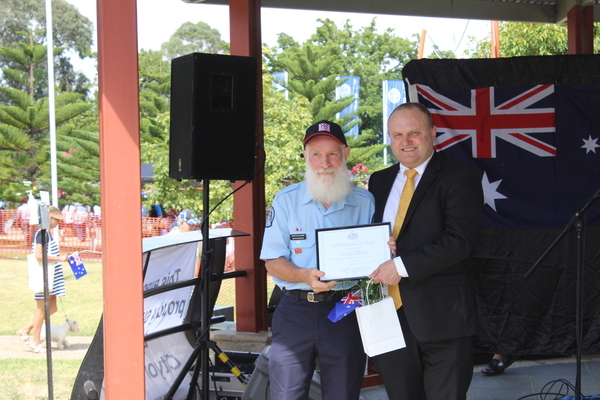 Australia Day award recipient Neville Aldham with Federal Member for La Trobe Jason Wood at the Berwick Australia Day award ceremony. 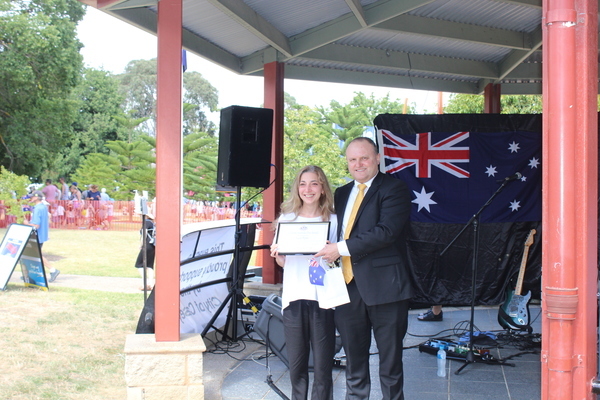 A number of Casey residents were recognised and celebrated as outstanding individuals who go above and beyond in their contribution to the community at the Berwick Australia Day Awards on Saturday. Mr Harding has been a member of the Berwick Men’s Shed since July 2012. Since joining he has worked assiduously to ensure the shed was an inclusive place. He was elected president around 2015. He was a natural networker and a dab hand at obtaining grants for the shed. Mr Hughes has been a volunteer at the Berwick Mechanics’ Institute (BMIFL) for over 38 years. During this time he has held various executive positions on committee including president, vice-president and treasurer. 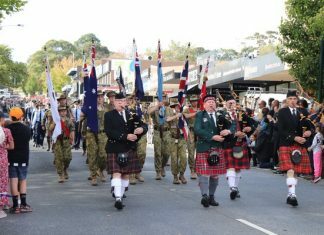 For nine of the past 10 years he has held executive roles at the local branch of Probus. Mr Spencer has been a member of Lions for many years, many as president. He is continually doing things for his Emerald community – collecting newspapers to raise funds for the community, running hay collection for farmers in the drought stricken areas. Mr Cockerell has worked with in the local community and beyond with disaster relief help farmer through drought fire and flood. Ms Hall is fundraising for her Habitat for Humanity project, helping to rebuild homes in Nepal, still devastated by the 2015 earthquake.